We need return to what built this country, vitalism and dynamism. How can we best bring about the return. First, take a look at this short video, consider buying a copy of Mass Flourishing if you haven't done so already. It's in all the book stores, Amazon, etc. ideA Act is our topic tomorrow on The Startup Show. Michael Porter at Babson: Role of Business in Society. I hope Pope Francis finds 20 minutes to watch this. What is the role of business in society? New (at least to me) video series, The American Mind. I hope Pope Francis remembers the farmers who grow the wheat, the millers who make it into flour, the bakers who make it into bread, the wholesalers and retailers and restaurant owners who get it into the mouths of hungry people. Seems to me this process, year after year after year, is just as big of a miricle as Jesus feeding the 5,000 when he took the loaves, blessed, broke, and gave them. Only communist propaganda can blind us to this every day miracle. "(Economic) production is essentially a form of cooperation among free individuals whose self-interested labor serves the best interest of all. The greatest “culture war” in history is to re-establish the moral significance of economic activity in the consciousness of modern political and cultural elites." We are here each day Monday thru Friday, live by 5 p.m. Mountain, or anytime via recording. The Startup Show will be broadcast momentarily, or come back here for the recording any time. Unfortunately we had a Google+ problem, couldn't get connected. 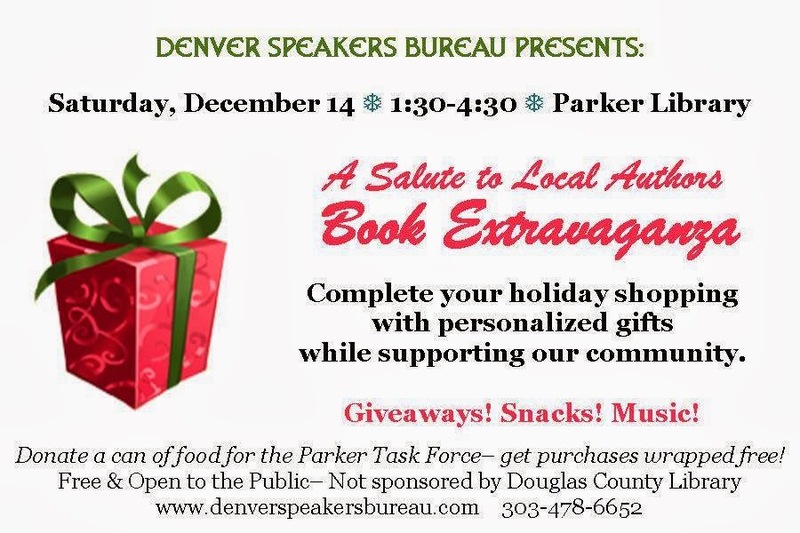 So here's what we would have talked about: Karen is Executive Director or Denver Speakers Bureau (see web address on flier below) has a monthly speakers showcase on various topics, this month instead of the showcase they are having this book fair. This Saturday afternoon 10 authors (or more, call if you want to participate) will answer question, have books with free gift wrapping if you bring a can of food for the charity drive. Karen will talk about her book "Working for Peanuts: The LINUS Project. LINUS is a five-step guide for achieving success, Karen will decode for you Saturday and share her experience. Chris Natzke is a 7th level black belt Tae Kwon Do who has a studio in Aurora. He's written a book applying the lessons of Tae Kwon Do to achieving your goals no matter what they are. More information below and on Denver Speakers Bureau website. The Pope draws attention to this important problem. God has given us the means to feed all people, right now we aren't using what we've been given. "Mass Flourish" by Nobel economist, just published by Princeton University Press, clearly shows exactly what the problem is and what needs to be done. I hope Pope Francis and his advisors read this new book, or at least watch the lecture at Oxford University on YouTube, see link to it and other info below. When the Bell Telephone System was broken up, in my opinion most of us didn't think fast or slow, we were just led by the nose to those in contol, some who ended up in jail. Thinking, Fast and Slow is book I wish I'd read a year ago when it first came out. Seems to me it's directly relevant to how ideas, usually the result of fast thinking, in my experience, actually get started, which involves lots and lots of slow thinking. IDEA is the acronym for the four-step creativity model I've been using for decades since one of my former professors at the University of Denver and myself developed it when I was working for Mountain Bell, which became US West, eventually what we have now, Century Link, back then we were the local operating company for the Bell Telephone System which was broken up. Back then most of us paid a very small amount of money for local telephone service, and it was predicted that long distance would soon be free. Some of those who pushed the breakup went to jail, or should have, now telephone service costs an arm and a leg. Clearly phone service was and is a natural monopoly and should be regulated. Will we ever have political leadership who has the guts to take on putting the genie back it the bottle?